1) 2:15 pm – easy warm up run with the team at Hillview. Then I coached them through a drills workout. 2) 6:00 pm – HDR track workout – It was Sweet 16 drills night. This includes 16 drills and 16 sprints. With a mile warm up all the drills, sprints and such added up to 4 miles! 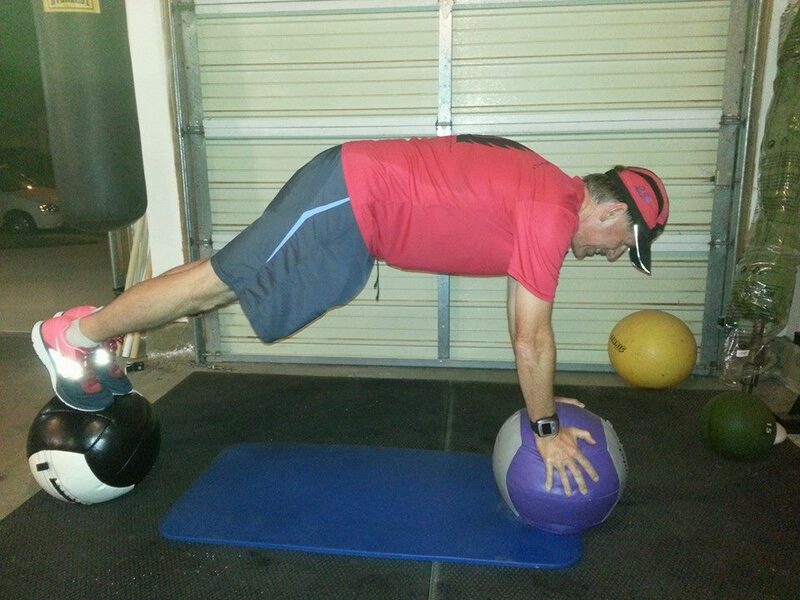 3) 7:00 pm – The Clayve workout – The usual stuff – well, except Clay has taken Planks to a whole new level! Those shiny, colorful new shoes are the free NIke Pegasus I got at last week’s clinic. After finishing this segment, thoroughly exhausted, we turned left on N and coasted. Clay suggested we do “extended stairs” and then ride home. I said okay, and gave myself a little lead on the downhill. We turned right onto 55th and rode up 55th all the way to the top. Clay caught me going around the corner with less than a quarter to go. We turned into a good head wind at this point. He passed and I tried to draft him the rest of the way. Clay set a new record on the segment and I ended up 3rd. I stopped the bike and rested my trembling legs at the top – thus the name of today’s post….. In total the night ride was 13.2 miles in 56 minutes…. My Garmin says I burned 2050 calories on these four workouts…. I created the 60th M to N segment in early Sept so you see all the times are from Sept and now Oct 1st. Most of the riders were not racing the segment just riding it thus we are in the top 10. When they start to race the segment we will all fall in our position. ← Yet another course record!